In this week’s issue of The Kickoff, we list all of the major bowls scheduled between now and the VCFP National Championship Game on January 11. 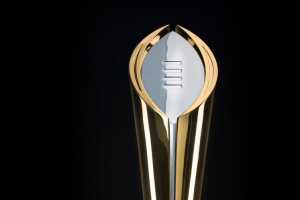 We’ve also listed the 2015 College Football Award Winners. After the end of the regular season, our Top 25 is topped by Clemson, still undefeated at 13-0 and set to play our #3 Oklahoma in the Capitol One Orange Bowl CFP Semifinal at 4 pm on New Year’s Eve. Alabama in second place is set to play our #4 pick, Michigan State, in the Goodyear Cotton Bowl at 8 pm on New Year’s Eve. The winners of those games will meet up on January 11 at 8:30 pm in Glendale, AZ. At this stage, our Power Ratings give Clemson the edge over Oklahoma and Alabama over Michigan State. It will be interesting to see which two teams survive elimination. Those who do not like one conference dominating the country should like seeing teams from the ACC, SEC, Big 12, and Big 10 all found in the Playoff finals. The SEC still leads the nation with 14 teams winning 102 games or a winning percentage of 0.604. The PAC-12 follows with 12 teams with 84 wins. This year is perhaps most notable because of the sheer volume of teams playing beyond the regular season. We’ll see nine teams from the ACC, eight from the AAC, six from Mid-American, six from MT West, 10 from the Big 10, 10 from the SEC, nine from the PAC12, seven from the Big 12, five from Conference USA, and four from the Sun Belt in post-season play. 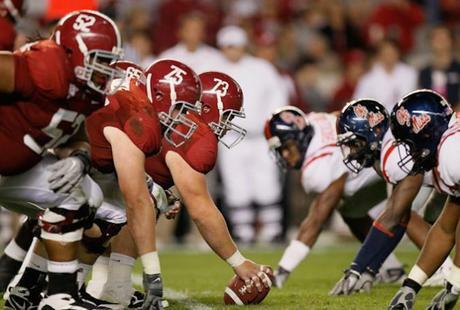 Some have questioned whether teams with losing records should make bowl appearances. Minnesota, for example, has a record of 5-7, yet it will play the 7-5 Central Michigan Chippewas in the Dec. 28 Quick Lane Bowl. Two teams from the same conference, Nevada (6-6) and Colorado State (7-5), are playing each other in the Nova Home Loans Arizona Bowl on Dec. 29. Auburn, which began the season picked by many to be in the College Football Playoff finals right now, finished their season 6-6 and will play a 9-3 Memphis team that is favored in the Birmingham Bowl on Dec. 30. In the latest issue of The Kickoff, we include our Pre-Bowl Kickoff Power Ratings, as well as the 2015 Kickoff All American Team and a listing of bowl game payouts by event. It’s been a huge year for Alabama’s Derrick Henry, who was named recipient of the Heisman, Maxwell, Walter Camp, and Doak Walker awards. 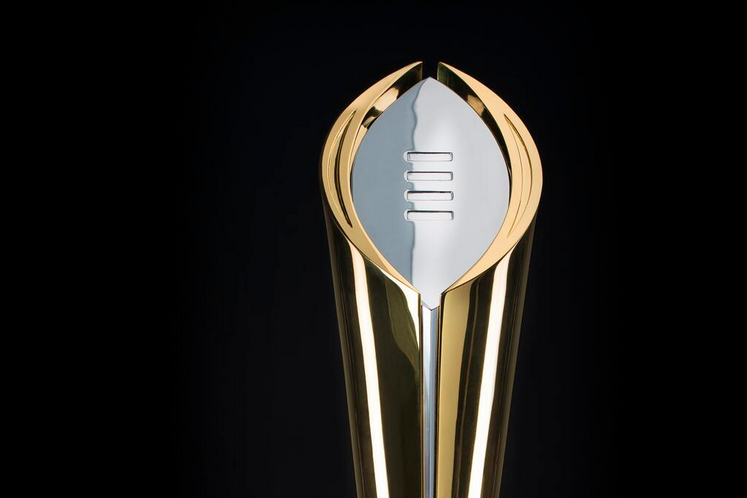 We list all of the major college football award winners in the latest issue of The Kickoff. Henry was deemed by Vegas to have a 16/1 chance of winning the Heisman (compared to 10/1 for Jeremy Johnson who didn’t even play every game as a starter). Trevone Boykin, the presumed frontrunner back in July, did not win any of the major awards. Clemson’s Dabo Swinney won the Home Depot Coach of the Year award for taking his team to 13-0. Speaking of coaches, last week we looked at the coaching carousel. Bowling Green, Brigham Young, East Carolina, La-Monroe, and Tulane are all searching for new coaches while other teams must replace coordinators who’ve moved up the ladder. Alabama has hired Jeremy Pruitt away from Georgia after Mark Richt’s move to Miami and Kirby Smart coming in as the Bulldogs’ new coach. We’ll see the ripple effects from the changes being made well into spring practice and beyond. If you subscribe to The Kickoff, you have a powerful resource at your fingertips for making your weekly picks. To order our new Basketball newsletter, The Tipoff, call us at (423) 267-0953. If football is still more your bag, you can get the jump on 2016 with The Kickoff’s Earlybird Special for the holidays. For that relative who can’t get enough of the game, you can buy him (or her) an annual email/PDF subscription, which includes six pre-season issues and 17 weekly issues next fall – and you’ll get an email/PDF version for yourself or someone else at no additional charge! The cost is just $28 for 23 printed issues in the Email/PDF version. As one of the most accurate prognosticators since 1951, The Kickoff is the perfect gift for someone who loves college football as much as you do! Visit https://thekickoffstore.com/product/buy-one-get-one-free/ to get the Holiday Special. Don’t forget to sign up for our Ultimate Tailgater Giveaway of a YETI Cooler (valued at $299.99): https://thekickoffstore.com/ultimate-tailgater-giveaway/ – We’ve upgraded the prize! Hurry, time is running out to enter.